Mark Evanier, longtime Kirby associate and biographer (Kirby: King of Comics), tells a tale starring one of Jacks greatest villains. The latest daring escape from the orphanage of Granny Goodness leaves an infuriated Darkseid determined to capture and punish the escapees. The Lord of Apokolips puts his best hunter on the case, but one of Grannys students is unlike anyone hes encountered before. 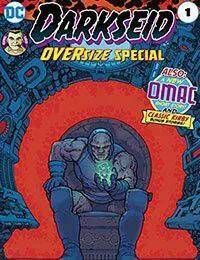 Plus, an untold tale of Omac by Humphries and Rude and a classic Kirby Fourth World tale!